Willingly and cheerfully do this for my hard-working man, after an attitude adjustment (translation: telling him yes, but going to get a cold drink in town first and praying for God to help me to be a servant. I know all of you much better wives out there would have said, “Sure, honey!” right away with a big smile on your face. I’m working on it!). I chose option #3, and as a result Ray and I were both blessed with some much needed, intimate time alone! There are times in our hectic lives when we will have “divine interruptions” in our schedules. You may feel frustrated and wonder if you will ever get those “important” things done today. Jesus experienced this, too. Going into the house, he wouldn’t let anyone enter with him except Peter, John, James, and the child’s parents. Everyone was crying and carrying on over her. Jesus said, “Don’t cry. She didn’t die; she’s sleeping.” They laughed at him. They knew she was dead. Jesus had something very important to do that day: heal a critically ill child! And on his way, a woman interrupted his agenda, having the gall to appear in public unclean (hemorrhaging qualified her as ritually unclean in that culture), pushing through all the crowd, and touching the hem of His garment. Jesus could have severely rebuked this woman for even being in public with her “unclean” condition, much less touching Him without His permission (which could cause Him to be “unclean.”) To top it all off, this interruption caused a long delay – precious time that could have been used to heal Jairus’ little girl. We all know that minutes, even seconds, can make all the difference in the world in a medical emergency. But the Lord didn’t chastise this woman. Instead, He had great compassion on her. He perceived her great need; He saw that it was a divine interruption from God Himself. Jesus commended the woman for her faith, and confirmed her miracle healing. He then blessed her with His peace. Jesus knew what it was like to be constantly “interrupted” with people’s demands and needs as He went about His daily life here on earth. Yet He never minded ministering one-on-one to others. This is why He was sent into the world – to save the lost, to heal and deliver, to show others the Father’s love, forgiveness, and mercy. Ray was not hemorrhaging or unclean like this woman was, but he is a man who needed a healing, soothing touch. May we as Jesus’ followers learn to be like Jesus each day, being His hands, His feet, His heart wherever we go. 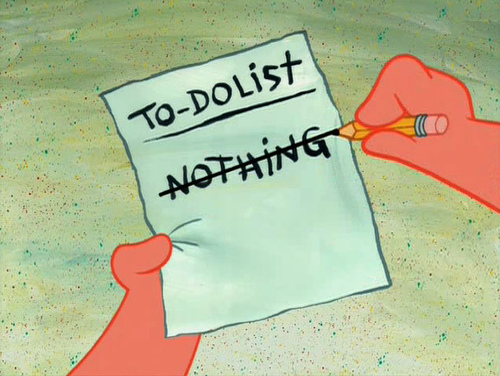 PS: After the backrub, I got the things done on my to-list today!